Today was supposed to be the last day you could switch to Page Plus' $55/month plan and get the "Double You Data" promotion which gives you 1 GB of data/ month (instead of 500 MB). For all you procrastinators or anyone stuck waiting for a number port from another carrier to go though, here's some good news. Today the company announced that the offer has been extended to March 31, 2012. To qualify you have to either activate a new Page Plus line of service on the $55/month plan or switch an existing account to the plan on or before March 31st. This is a special leap year promotion for 2012 only. After Jan 1, 2013 the data allowance reverts to 500 MB/month. The $55 plan also includes unlimited voice and messaging. You MUST subscribe to the $55 plan on or before 03/31/2012 in order to get the 1GB of data with that plan per month for the remainder of 2012. Continuous subscription to the $55 plan must be maintained to remain on the promotion. Switching to a different plan will cancel the promotion on the account. A 30-day grace period will be allowed for late account payments, after which the promotion will be cancelled. Phone swaps (ESN changes) and phone number changes are allowed and will not cancel the promotion. Note: This news comes from big Page Plus dealer Kitty Wireless who presumably received it in a Page Plus email update to dealers. However, the Page Plus website is still showing the old Feb 29th expiration date for the offer. Due to the ambiguity, I recommend that you switch to the $55 plan today to be sure of qualifying for the offer. The Double-Data “Leap Year Special” promotion has now been extended through March 31st. Customers who sign up for The 55 plan before March 31st will receive 1 GB of data (rather than the normal 500 MB) every month through the rest of 2012. The price of the plan remains at $55 for unlimited talk, unlimited text, and now twice as much data. Continuous subscription to The 55 plan must be maintained to remain on the promotion. A plan change will cancel the promotion on the account. A 30-day grace period will be allowed for late account payments, after which the promotion will be cancelled. Device (ESN) and phone number (MDN) changes are allowed and will not cancel the promotion. 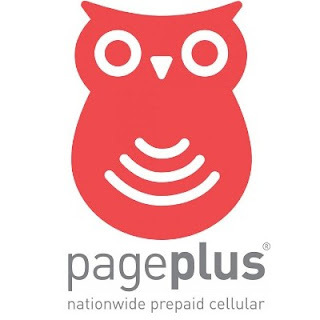 0 comments to "Page Plus 1GB Data Promotion on $55 Plan Extended to Mar 31"